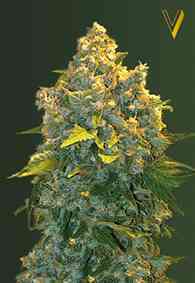 Auto Chronic Monster XXL is an auto-flowering version of the famous Chronic strain. Auto Chronic Monster XXL shows tremendous vigour and produces an extremely high-quality product, and excels both indoors and outdoors. It can pack on a lot of weight due to its dense, prolific budding, producing very large, resinous nuggets.